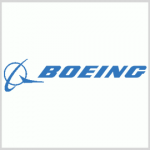 Boeing (NYSE: BA) has received a five-year, $93.6M delivery order to produce, test and install eight wideband satellite communication kits in the U.S. Navy’s P-8A Poseidon aircraft fleet. The company will also support the integration and qualification of the satcom kits under the cost-plus-fixed-fee order, the Department of Defense said Thursday. Work is slated to occur through April 2024 and the service branch will obligate $19.1M in fiscal 2019 research, development, test and evaluation funds at the time of award. Eighty-three percent of the work will take place in Seattle and the rest in Maryland and Missouri. The Navy awarded Boeing a separate $326.3M delivery order last month to integrate and test Increment 3 Block features on the maritime patrol and reconnaissance planes.